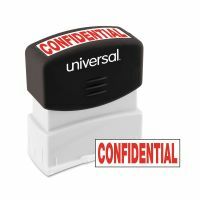 Microban® protected pre-inked stamp with dust cover that automatically opens and closes. 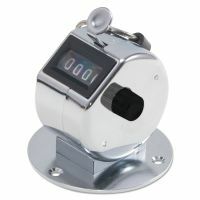 7 ml. 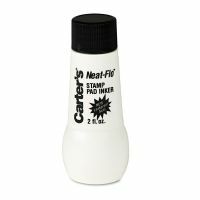 bottle of refill ink for Universal™ stamps. 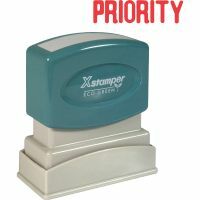 Stamps save companies time by instantly imprinting dates, commands, approvals or a multitude of other functions. 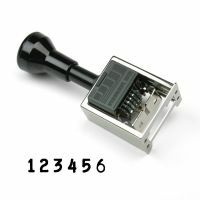 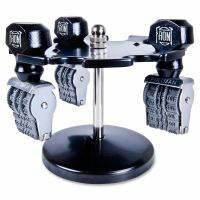 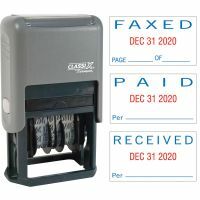 Stamps are available in the classic style that requires separate stamp pads, self-inking stamps that have a pad built in, or pre-inked stamps that use an oil-based ink that is automatically fed into the rubber before every impression. 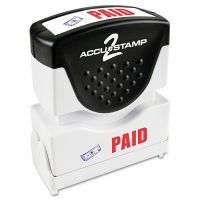 Find date stamps, stamps with popular messages like "paid" and "entered," and stamps that combine the two. 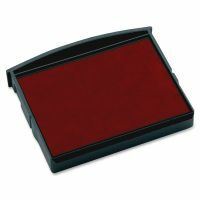 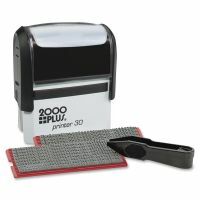 Stamp pads and refill ink is also available in several colors.